A piece that is not in our current music library. Our current music library contains over 200 pieces including standard wedding selections, classical pieces, and pop tunes. Many pieces in our repertoire are listed on the Wedding Music or Contemporary pages, though not all of them. The quartet manager will advise you on whether or not the piece is in our library. Accompaniment for a vocalist or solo instrument. For vocalists, there is a list of our accompaniment here. We require at least one rehearsal with the soloist. Title and composer/artist of the piece. For accompaniment, the type of soloist (vocal, type of instrument, etc.). Depending on the amount of work necessary to perform your piece, there may be additional fees and guidelines to allow time for us to prepare. A minimum of 5 weeks notice is required to order the piece and rehearse it. is not in our current repertoire and piano sheet music is available. 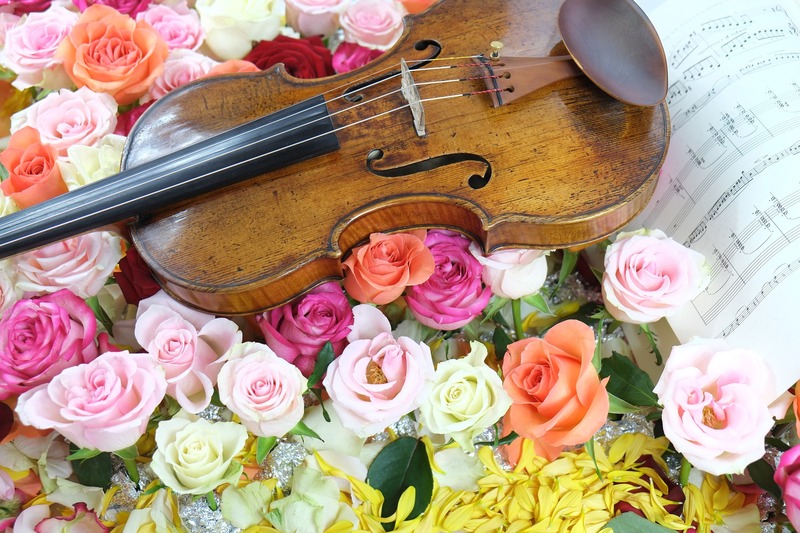 $95 per piece arrangement fee is incurred for a custom quartet arrangement of the piece. A minimum of 6 weeks notice is required to allow time for the arrangement to be written and the quartet to learn it. If the quartet?s arranger determines that the piece is not suitable for performance by the string quartet, you will need to make another selection. is not in our current repertoire and no sheet music of any kind is available In this case, the arranger must listen carefully to a recording of the piece, write down every note, and rearrange it for the quartet. $185 per piece transcription fee is incurred to write down and arrange the piece from a recording. Minimum of 8 weeks notice is required to allow time for the transcription / arrangement to be written and the quartet to learn it.